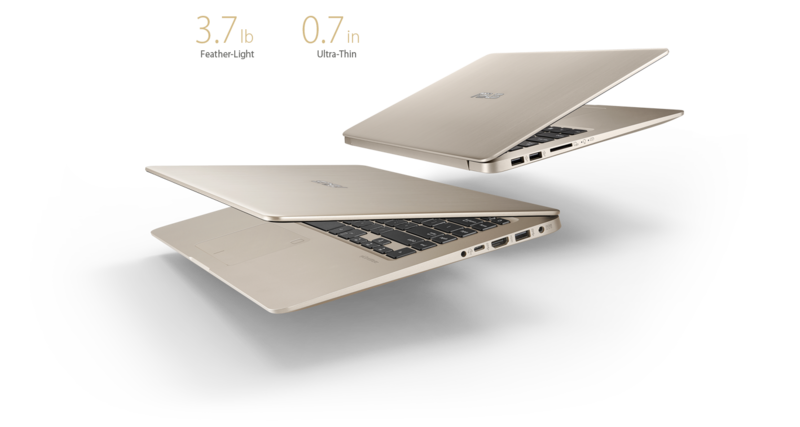 The ASUS ViviBook S510UN is thinner and lighter than ever: it weighs just under 3.8 lbs and has an amazingly thin 0.7-inch profile. It's an everyday laptop with the weight and compactness of an Ultrabook. 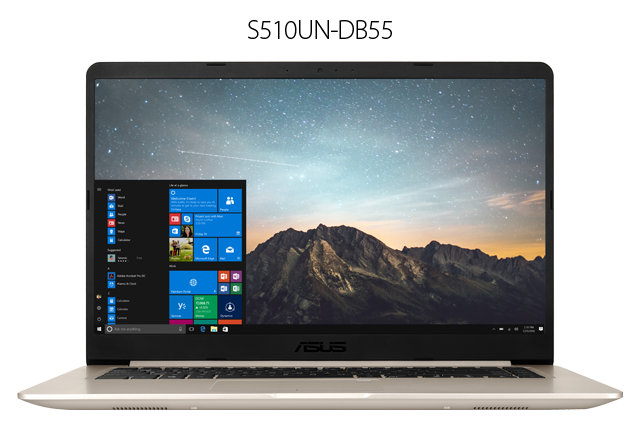 The ASUS VivoBook S510UN fits the panel of a 15.6" Full HD display into a typical 14-inch laptop frame. This is possible due to the ultra-narrow 0.3" NanoEdge bezel that gives it an incredible 80% screen-to-body ratio. The display also includes 178° Wideview technology to ensure that colors and contrast remain vivid and bold, even when viewed at extreme angles. It's the perfect solution for sharing content with groups of friends and colleagues. Exceptional performance has always been the hallmark of the ASUS VivoBook S510UN. 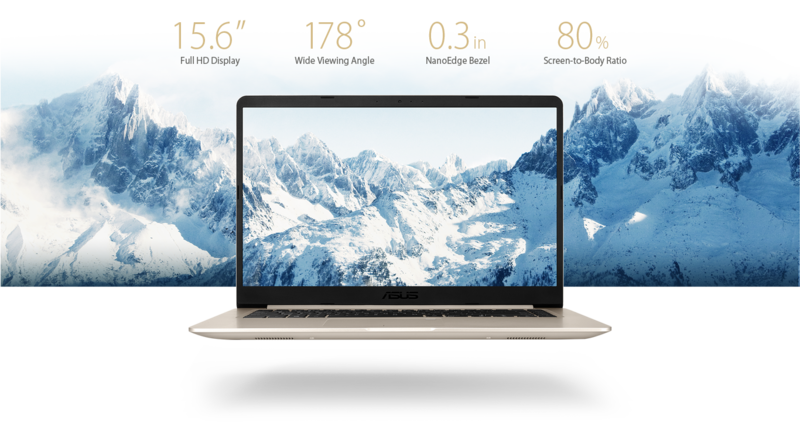 Powered by the latest Intel® Core™ i5 processor, the VivoBook S510UN delivers ultra-smooth visuals and great mobile experiences. And with ultra-fast dual-band 802.11ac Wi-Fi, you can enjoy speeds of up to 867Mbps – that's up to 6x faster than 802.11n! It's everything you need for versatility and performance. 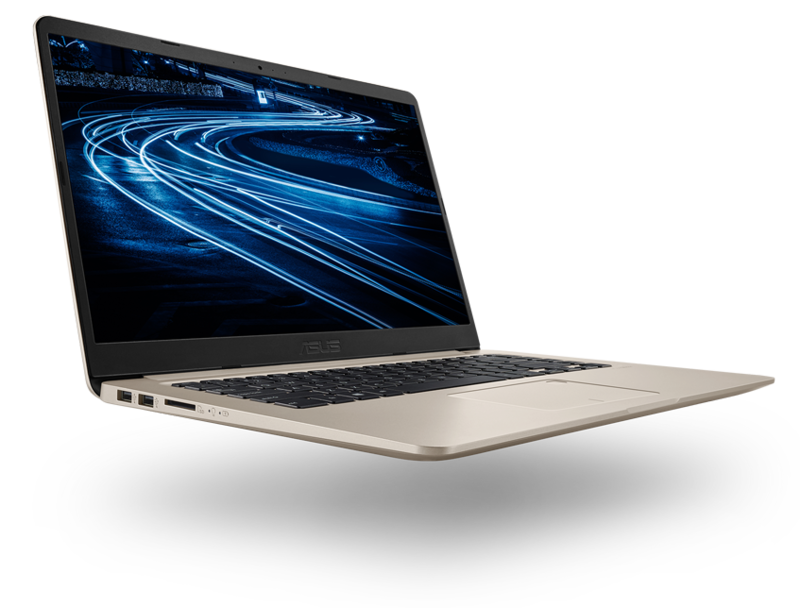 The S510UN features new Intel® Optane™ technology, which is a unique combination of Intel® 3D XPoint™ memory media with an Intel-built advanced system memory controller, interface hardware and software IP. Together, these building blocks deliver a game-changing technology that presents a new computer. The ASUS VivoBook S510UN is equipped with a USB 3.1 (Gen 1) port with reversible USB Type-C™ that makes connecting devices simple and quick. USB 3.1 also delivers data transfer speeds up to 5x faster than older USB 2.0 connections! Its USB 3.1, HDMI and SD card ports support hassle-free compatibility with a wide range of peripherals, displays and projectors. The ASUS VivoBook S510UN has a full-sized backlit keyboard that's perfect for low-light settings. 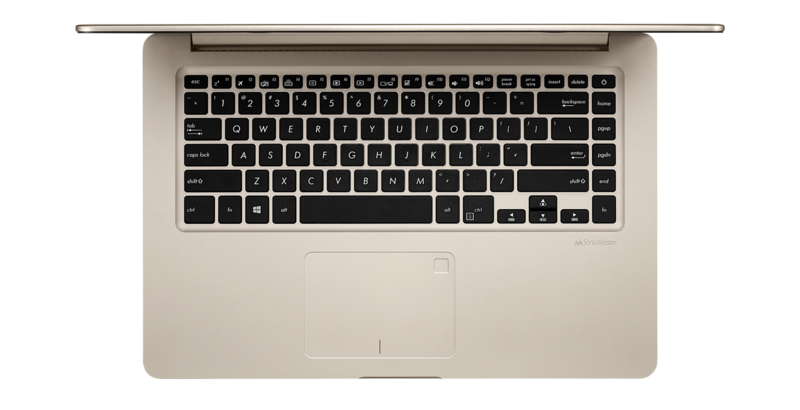 The sturdy, single-piece keyboard construction with 0.06in key travel offers ergonomic and comfortable typing experiences. Accessing your VivoBook S510UN has never been easier or more secure. With the built-in fingerprint sensor in the touchpad and Windows Hello, there's no need to type in your password every time to log in – just a single touch is all it takes! © 2018 ASUS Computer International. All specifications and terms are subject to change without notice. Please check with your supplier for exact offers on selected models. Products may not be available in all markets. Product may not be exactly as shown in photos. Brand and product names mentioned are trademarks of their respective companies. ASUS shall not be liable for technical or editorial errors or omissions contained herein. Intel, the Intel Logo, Intel Inside Core and Core Inside are trademarks of Intel Corporation in the U.S. and/or other countries. All prices reflect the final price after savings/rebate(s). Offers expire 3/31/2019 at 11:59 P.M. PT.